Dodge Charger Waterford MI " "
Meet the fastest sedan on the market, the new Dodge Charger. Get in and own the road here at Szott M59 Dodge RAM. Putting the pedal to the metal at a heart-racing pace of 707 horsepower and 650lb-ft of torque, when equipped with the supercharged 6.2L HEMI SRT Hellcat V8 engine your new Dodge Charger is the most powerful vehicle in its class to come off the line. With the choice of nine available interior trims ranging from black and pearl Nappa leather-trimmed seats, and metallic accented black or black and ruby red Nappa leather-trimmed seats, the sleek interior styling of your Charger will be all your own. Finding and designing your perfect Charger is easy with the help of our Dodge specialists here at Szott M59 Dodge Ram. We have the comprehensive lineup of new and pre-owned Chargers you’ve been daydreaming about and at a price that you can afford. This heritage-inspired driving experience is perfectly paired with a refined interior featuring superior technology. Dual-zone automatic climate control, soft-touch surfaces and available memory system for the power driver seat keep comfort at an optimum level, while the choice of standard or sports seats offer you the maximum amount of support you’ll need depending on your driving style. Behind the wheel, you’ll find the Class-Exclusive 7-inch customizable Driver Information Digital Cluster Display and an available 8.4-inch touchscreen that gives you access to an on-demand Wi-Fi hotspot, HD Radio, and SiriusXM Satellite Radio when equipped with the available Uconnect Access. Come out to our Dodge Ram showroom near Waterford, MI and let us show you how Voice Command from Uconnect gives you access to Hands-Free Calling, voice prompts and voice commands for the radio and navigation so you can keep your eyes on the road and hands on the wheel as you hug tight curves and quick corners. At Szott M59 Dodge Ram it’s our goal to provide you with a quick and hassle-free shopping experience for your new Charger. Save time at the showroom by browsing our current selection and applying for pre-approved financing options so that the majority of your visit with us is spent taking the Charger you’ve been eyeing out for a spin. Give us a call at (888) 899-9032 and let’s find the performance car that inspires you today. Come by or call today and let us show you why we are the best place for you to find your new Dodge Charger today. There’s only one Dodge Charger; and there’s only one Szott M-59 Dodge RAM. We’ll see you there. Szott M59 Dodge Ram has the perfect new Dodge Charger for you. Find it here, along with Waterford’s best service and value. Get ready to enjoy this ride to the fullest. A fun, ultra-savvy lineup of vehicles like Dodge is always in high demand. That’s why we also carry an exciting selection of pre-owned models from which to choose. Check it out today! Why not enjoy your new Dodge along with the Szott M59 Dodge Ram discount? You can have your cake and eat it, too. 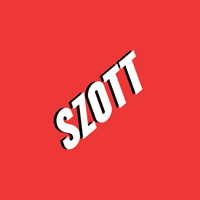 See what’s available for you and your new Dodge from Szott. Buying a vehicle is a special experience. We understand that this isn’t something our customers do every day, which is why we treat every interaction with the respect that it deserves. Szott M59 has loyally served the Waterford market for decades because we believe that the community and its people supersede any expectations set by a corporation. This is your community. This is our community. When you are shopping for a new or used car like the Dodge Charger, you expect the experience to match the promise, which is why we are open and transparent every step of the way. Below, you will find more information about the new Charger. We hope that you’ll contact us and allow us the opportunity to show you why buying from the pros at Szott M59 Dodge Ram, is simply the best decision you can make. There’s more to a vehicle demonstration than picking out colors and taking a test drive. At Szott M59 Dodge Ram, we want you to know everything that’s important to YOU in your next new vehicle. The new Dodge Charger is uniquely positioned in the Waterford market to satisfy the needs of practical fun lovers everywhere – the Charger has the proper mixture of peppy performance and sublime comfort that’s appealing to Waterford. Our team is here to make sure you’re aware of every feature, tip, and maintenance best practice because we take pride in delivering the ultimate shopping experience for our customers. Watch this video to get your engine revving for your new Charger, and then let the pros at Szott M59 take care of the rest. Attention to detail is important. You won’t miss a thing when you shop at Szott M59 Dodge Ram. We know you have many options when it comes to car dealers in the Waterford area. Our hope is that you will give us the first opportunity to earn your business because of the tremendous experience, great pricing, exciting Dodge selection, and our commitment to making your buying experience the most positive one you’ve ever had when shopping for a vehicle. We stand behind the ideal of delivering the type of respectful engagement that the people of Waterford deserve. If you give us the first opportunity, you’ll see why our customers come back time and time again. WHY SZOTT M59 DODGE RAM? Some dealerships take pride in their sales numbers. Others point to their P&L statements to determine their success. At Szott M59 Dodge Ram, the most important indicator of whether or not we’re successfully achieving our goals is when YOU are overwhelmed by our outstanding customer experience. It goes beyond satisfaction. We want you to be ecstatic with the way you were treated and impressed with how easy it was to get the best Dodge deal in the whole state of Michigan. Your opinion is the one that matters to us at Szott M59 Dodge Ram. It’s what drives our success. We hope we’ve answered most of your questions about why you should consider Szott M59 Dodge Ram as your first choice when shopping for a new or pre-owned Dodge model. If you are ready to learn more, please contact us through your preferred method of communication and ask us anything you’d like to know. If you’re ready to schedule your test drive, please use the form below. At Szott M59 Dodge Ram, you control your shopping experience. We’re here to help facilitate and to be your own personal Dodge experts.